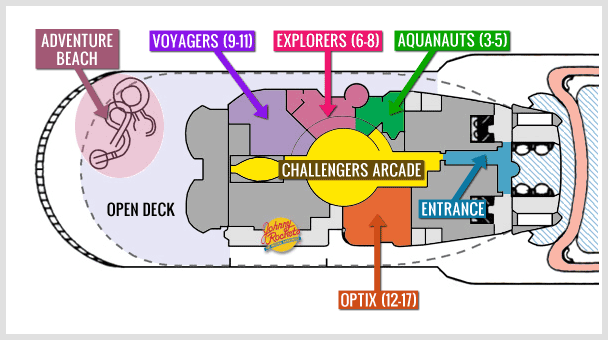 Adventure Ocean is the name Royal Caribbean gives to its kids/teens programs. It's also the name of the huge area aft of deck 12, which gathers rooms dedicated to each group age. 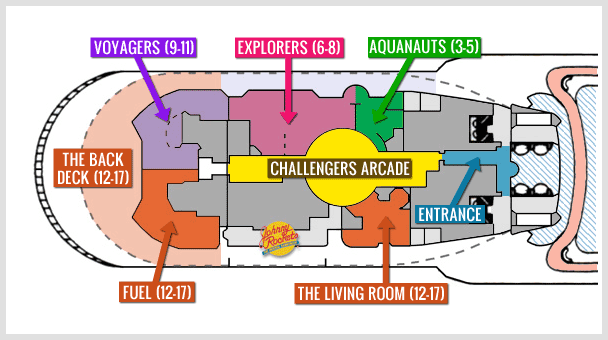 The youth areas of Navigator and Mariner have been greatly expanded, at 22,000 sq.ft compared to the 16,000 sq.ft of Voyager, Explorer and Adventure. However, this expansion has been made possible only by the removal of Adventure Beach.